Memberships for the Elings Park Tennis Courts (formerly Las Positas Tennis Courts). Proof of age will be required for senior or youth registration. Tennis membership cards must be picked up in person from the park office after registration is completed online. Proof of membership is required at all times. 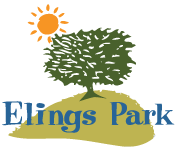 Elings Park Foundation provides a place for sports and athletic endeavors for people of all ages, from all neighborhoods, and from all walks of life. It also serves as a model for other communities, demonstrating that a non-profit foundation can operate an extraordinary park without the need for government funds.